Michelle, we write you this thank you letter after just having watched our documentary wedding film. We both had a smile plastered on our faces throughout the full two hours. It's impossible to describe how meaningful and perfect this day was for us. We felt wholly supported and loved while making this enormous commitment to each other. We could have felt overwhelmed, anxious or scared, but instead we were joyous the entire day, week, month, and year leading up to July 25th. Miriam our rabbi, had us take an intense questionnaire prior to getting married that was sent to a physiologist to analyze our compatibility, etc. Mine came back showing ZERO STRESS...Miriam was so confused by this. How could a bride, about to get married, have such low stress? I know exactly why...my amazing wedding planner Michelle!! Thank you for taking our vision and bringing it to life perfectly. You are the most kind, warm, generous, creative, visionary person and you definitely have found your gift in wedding planning. We mean it when we say we had the most beautiful wedding of all time. We know it because of how we, an the rest of our guests felt throughout the entire day. Thank you for being such a meaningful part of our most memorable day and making it more than perfect. Ben and I are thankful to you beyond words. WE ARE ON CLOUD NINE. Dear Michelle, you are an amazing person and the BEST PARTY PLANNER! Mimi felt she was in good professional hands and therefore could relax and enjoy her wedding. I love that the officiant said Mimi scored 0 on her bridal stress index test. Mimi attributed it to you! Much gratitude for your big part in making it a perfect wedding. Our sweet wedding guardian angel, miracle worker, supporter and cheerleader. Words cannot express our deepest appreciation for all of your tireless hard work, every day leading up to the wedding, holding our hands and guiding us throughout the whole process and your (again) tireless work on the day of the wedding. Making sure it all went smoothly. It truly was through fate and a blessing that we connected with you. Instantly feeling at home. That first night after our kick off planning meeting we SLEPT LIKE ROCKS and didn't stress about the rest of the planning process from that point forward. We know we'll never know the depths of all the hard work you put in because you make it look effortless. Know you are truly appreciated and cherished. Our wedding was truly beyond our wildest dreams and absolutely perfect! We have been basking in the memories! WE LITERALLY COULD NOT HAVE HAD OUR WEDDING WITHOUT YOU! Thank from the bottom of our hears. In my 60 years of life I've been either in or attending a lot of weddings. What I witnessed last night was THE BEST WEDDING I HAVE EVER EXPERIENCED and that was 100% because of you. You have a true talent and rating your service on a 1 to 10 scale is not adequate. YOU ARE A 20! I want you to know that you will be the only wedding planner I would ever recommended if I was asked or needed. We don’t even know where to begin thanking you. None of this amazing wedding would have been possible without you. I was telling Jonathan that I think YOU WERE BORN TO BE A WEDDING PLANNER. You have the rare combination of being hyper organized, yet relaxed and easy going. It has truly been nothing but a pleasure to work with you every minute of this process. You have made it so easy and fun and stress-free. And you do it all with a smile! You truly go above and beyond at every step. EVERY DETAIL was just so perfect. I am in love with it all! From the clear tent to the flowers to the music, it was all absolutely wonderful. I cannot wait to see the photos and videos because I want to see every small detail again, there were too many amazing things! I can’t even express what a perfect wedding planner you are, every recommendation you gave for vendors or the wedding was spot on. You dealt with all the stress and left me completely stress-free. Your thoughtfulness with bringing us food in the house after the ceremony was one of my favorite moments of the wedding. I could go on and on and on, but I am just so thankful for it all and I can’t believe our luck in having you! We are so incredibly grateful to have found you and worked with you and would recommend you without hesitation to anyone. Thank you, Thank you, Thank you, from the bottom of our hearts. Dear Michelle, I personally wanted to extend my gratitude to you for all the hard work it must have taken to put together Elian and Jonathan's wedding at our home and create such a spectacular event which still vibrates in many peoples hearts. Most importantly, I knew Elian could relax and enjoy every minute of the day and the preparation toward it, as she could completely trust you. That was a huge benefit of having a competent, really friendly and very creative wedding planner! With deep gratitude. Dear Michelle, where do we event start? Thank you doesn't feel big enough. Our wedding was perfect. So many guests told us that it was THE BEST WEDDING THEY HAD EVER BEEN TO, and they really meant it! I really don't know what we would have done without you. You created a day that was absolutely magical and so much fun! We never felt stressed or worried, so we were able to truly enjoy the day. People are still raving about everything from the food, to the music, to the decor and about how seamless everything was. And that is all you. Thank you! Dear Michelle, we wanted to send you this note to thank you for the exceptionally wonderful wedding you planned for our daughter, Kate and her husband Brian last month. The wedding was truly magical and splendid! Although Kate has lived in Seattle for four years, not being natives of the area, we honestly did not know where to begin. With so many vendor choices, it seemed extremely daunting to narrow things down. The guidance you provided was INVALUABLE. Among others, your recommendations for florist, caterer, and DJ could not have been better. Your suggestions of hotels for our out-of-town guests were perfectly situated. You “WENT TO BAT” for us at every turn – keeping us from paying too much for hotels, venue, or vendors. Your experience and professionalism were demonstrated in every romantic detail. You and your staff made all of the difference between uncertainty and ease on our daughter’s wedding day. You made everyone in the wedding-party feel included and relaxed. Having you available to the couple also allowed them to get on with their demanding jobs, and calmly enjoy the wedding planning process, rather than stressing over the minutiae. Coming from Westchester County, NY and Fairfield County, CT, our families know something about elegant occasions. Perhaps the most poignant accolade we can offer is the simple fact that several of our guests made a point of expressing to us that this was THE LOVELIEST WEDDING THEY HAD EVER ATTENDED. We feel the same. The location – the food- the music – the atmosphere in general couldn’t have been better. 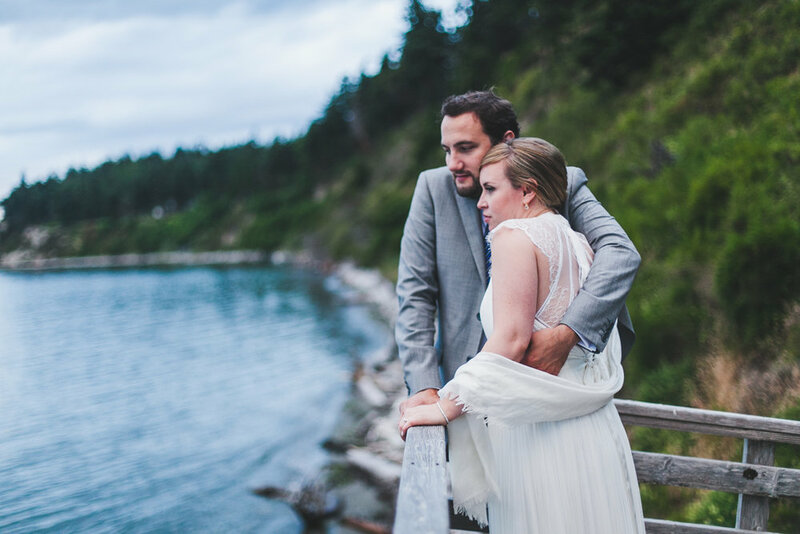 As parents of a bride marrying at a great distance from our home, throughout the planning process, we took comfort in knowing, “Michelle brings the magic!” – And you did. Our families will forever be basking in the memory of that special day. Thank you! Dear Michelle, thank you so much for planning and organizing Kimberly and Jacob’s wedding. It was absolutely beautiful and it was everything and more than they had envisioned. We have received nothing but raving compliments on how smoothly everything flowed. We are still basking in the glow. Some comments we've heard...MY 87 YEAR OLD FATHER SAID IT WAS THE NICEST WEDDING HE HAD EVER BEEN TO! There was something for everyone. The food was really good! The flowers were beautiful!! The musicians were top-notch...and the list goes on! You did a wonderful job!!! I hope you took time to marvel at your amazing work!! With deep gratitude (and many tears of thanks). Michelle is an incredibly warm, kind, and competent wedding planner. I felt absolutely overwhelmed at the idea of planning a wedding for almost 300 people in just five months, but Michelle TOOK THE REIGNS from day one and made the process a joyful, not stressful, experience. You will never regret putting your faith in her to orchestrate the ins and outs of your wedding day. I would hire her again in an instant to plan an event, large or small. Michelle, we are so glad we were able to hire you as our wedding planner. You have been a godsend, resolving countless issues about which we would have been immensely stressed, and all WITH A CALM STEADY HAND. It is difficult to find words adequate to express our gratitude for all you have done to make this day so special for Allison and James. And there are no words for my own personal profound thanks for making what might have been a very stressful day such a joyous one. Thank you every so much. We have heard from so many guests that it was the most beautiful (and many other superlatives) wedding they had ever been to. And I was asked many times about how it was possible that I seemed so relaxed during the wedding, and you get all the credit for that! Also, I would like to commend you for your advice regarding vendors. Hiring you was the best decision we made, other than Allison' decision to accept James' proposal, of course! YOU ARE WORTH EVERY PENNY AND THEN SOME! Michelle is absolutely amazing! Not only is she a wonderful event planner, she is one the kindest, most genuine people I have met since moving to Seattle from my home town of Texas. Michelle was genuinely interested in what my husband and I envisioned for our wedding. She matched us with incredible vendors and she executed the wedding of our dreams. At the welcome dinner you planned I remember thinking...this is exactly what I pictured in my head...I don't even know how the wedding can top this. And sure enough the next day I was blown away by the wedding. Michelle was super professional and there for me, my family and wedding party every step of the way. Michelle event spent extra time meeting with my mother and grandmother when they would come visit, because she knew they were nervous about me getting married so far away from my home town. Guests still talk about how IT WAS THE MOST BEAUTIFUL, FUN AND HEART FELT WEEKEND...and there is no doubt that Michelle made all of this possible. I am so lucky to have worked with Michelle and I am so happy that I've made a great friend too. I high recommend Michelle to anyone planning any event large or small! Thanks Michelle! BEST WEDDING EVER! We had so much fun and loved every second of our wedding day and everything about the entire weekend was just perfect. You are amazing! Michelle, you are the most amazing wedding planner and someone we count as a dear friend. A year and a half ago, we came to you with grand ideas and you helped guide us along the way. The end result was a beautiful weekend that our family and friends will never forget! From the mani-pedi party, to the rehearsal and rehearsal dinner, the main event and the post-wedding brunch; we couldn't have scripted a better weekend! You were INSTRUMENTAL in making everything happen! Jesse and I are so grateful for all the work, effort and INCREDIBLE TASTE in vendors you have. It made our wedding something more than we could have ever put together ourselves! Along with your wonderfully fun, perky and calming personality all the vendors were such fun to work with too. Thank you for everything! Thank you! Thank you! Thank you! What more can I say? Matt and I were so happy with the way the whole event played out. It truly met our vision and exceeded our expectations! With all of your help and guidance, we were able to give our friends and family a fun yet totally STRESS-FREE EXPERIENCE. For me, you were without a doubt, the only reason I was able to keep my sanity while planning the wedding from across the country! I cannot thank you enough. I cannot say enough positive things about my experience working with you! Ian and I had a wonderful incredibly fabulous time last night. The work you did is so appreciated and everyone loved you! It would not have been the same without your involvement on so many levels. Our sincere thanks. We loved everything! Michelle, YOU ARE A MASTER! I loved, loved working with you. All the perfect details were courtesy of you. Thanks for putting up with a very "non-bride" bride. I would have been lost without you! Clayton and I had the most amazing wedding day! You made it SEAMLESS! It was so much more than we even dreamed of. People said over and over "don't worry things are gonna go wrong – just don't stress roll with it " It was perfect - nothing went wrong! I can't tell you how amazingly wonderful it was. It was totally perfect because you made it perfect. Thank you a million times. We are just really appreciative. We want you to know how truly wonderful you are and that we sing your praises! You are the best! I have to say that the wedding was such a success because of all your careful planning - you really know how to throw a FLAWLESS event!! Thank you so much for all your hard work. Everyone keeps telling me how much fun they had and that it was the coolest wedding they had ever seen and I couldn’t agree more. Everything turned out better then we could have ever imagined. Thanks to all of your preparation, attention to detail, thoughtful planning and your overall positive energy we were able to have an absolutely stress-free wedding! You are the best! Thank you so much for all of your hard work and CALM DEMEANOR. I am so glad that you were our wedding coordinator as you made all the difference by supporting my creative dreams and by selecting the best vendors for our wedding. It was the most beautiful day of our lives and everyone was pleased and relaxed knowing you were at the helm. Thank you so much! As soon as my husband and I got engaged, I started researching wedding planners. I've always been a planner but I wanted to make sure there was nothing to worry about on our wedding day. Once I talked to Michelle, I stopped interviewing. From day one, she made the whole process easy. All of the decisions can be overwhelming and it was wonderful to have expert advice. We went with every vendor she recommended and couldn't have been happier. She thought of everything. She was so organized, even as a self admitted control freak, I was never concerned something was being overlooked. My friends and family loved her and all of us were really able to enjoy the day knowing she had everything under control. MICHELLE HAS SINCE PLANNED THREE OF OUR FRIENDS WEDDINGS and I will continue to say hiring Michelle was the best money we've ever spent.